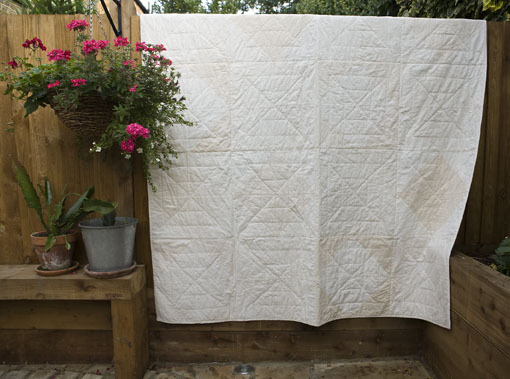 I bought the fabric for this Quilt at Liberties in London during the Quilt exhibition at the V&A. It was a pack of fat quarters all in creams and I loved the elegance of it. 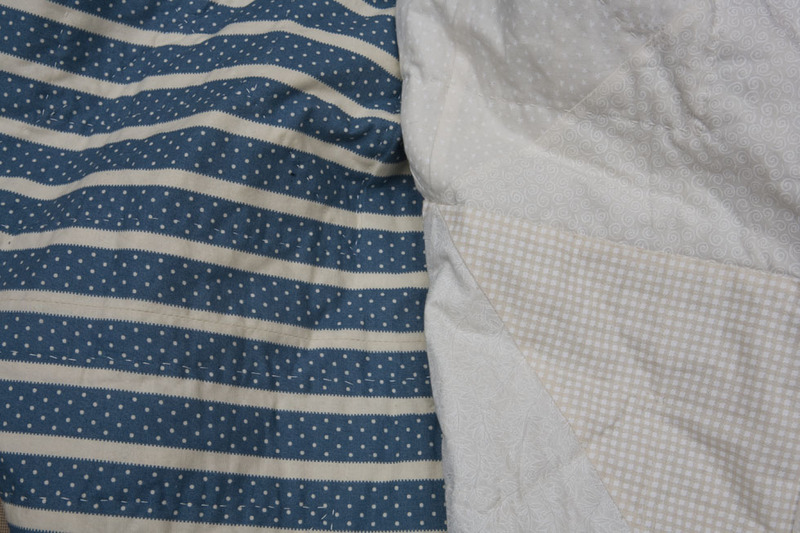 The idea behind the quilt was to have something soothing and calm to put on by bed. 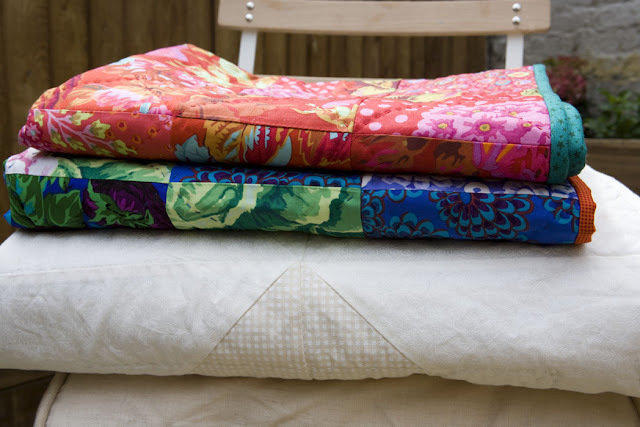 It is also a quilt that goes with anything and is very contemporary. The fabric for the top is from Moda, Collection Muslin Mate. I made blocks of diamonds that I arranged so that a darker shade of cream offset a lighter one. This brings the diamond design to the foreground. As a backing fabric I used Bar Harbour by Polly Minick & Lauri Simpson from Moda. This is a lovely soft fabric in blue and cream dots and strips. It really feels incredibly soft. 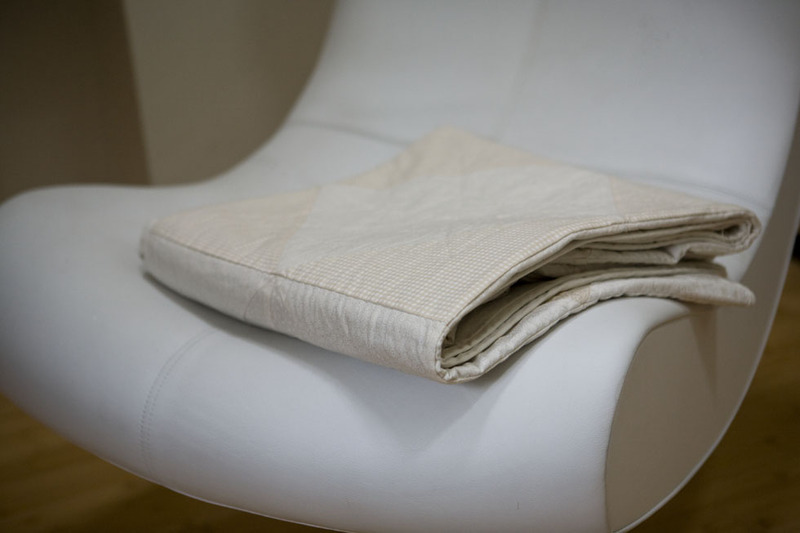 This gave the whole quilt quite a Nordic/Scandinavian feel to it according to Tina from Tikki Ltd. in Kew. And she must know as she is Finish ! 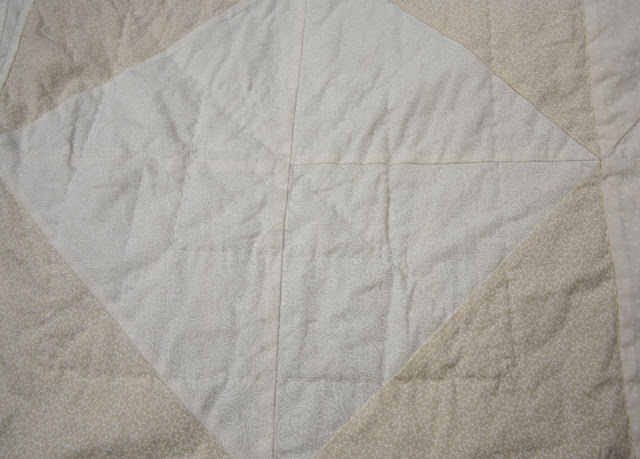 I used 8 different patterned fabrics in various shades of cream in 16 blocks with inset diamonds. and here are the photos of the finished quilt. Unfortunately white or cream fabrics are notoriously difficult to photograph. So apologise upfront for the quality. One more for the stack ! Absolutely lovely quilt! and I love Tikki too! !